The University of Louisville School of Music and the Jamey Aebersold Jazz Studies Program presents its annual Jazz Festival featuring Charles McPerson, saxophone, with Jazz Ensemble I and Faculty Jazz Combo. 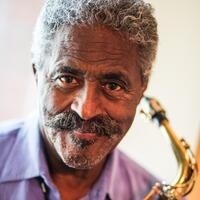 Charles McPherson was born in Joplin, Missouri, and moved to Detroit at age nine. After growing up in Detroit, he studied with the renowned pianist Barry Harris and started playing jazz professionally at age 19. He moved from Detroit to New York in 1959 and performed with Charles Mingus from 1960 to 1972. While performing with Mingus, he collaborated frequently with Harris, Lonnie Hillyer (trumpet), and George Coleman (tenor sax). Charles McPherson is available internationally for Concerts, Festivals, and Club Dates as a soloist or with The Charles McPherson Group. Charles also offers Clinics and Master Classes.